The Risk of Trading is a practical resource that takes an in-depth look at one of the most challenging factors of trading—risk management. The book puts a magnifying glass on the issue of risk, something that every trader needs to understand in order to be successful. Most traders look at risk in terms of a "stop-loss" that enables them to exit a losing trade quickly. 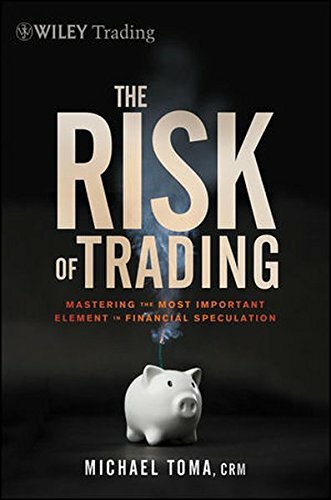 In The Risk of Trading, Michael Toma explains that risk is ever-present in every aspect of trading and advocates that traders adopt a more comprehensive view of risk that encompasses the strategic trading plan, account size, drawdowns, maximum possible losses, psychological capital, and crisis management. Using this book as a guide, traders can operate more as business managers and learn how to avoid market-busting losses while achieving consistently good results.